Damon & Elena Promo picture. . Wallpaper and background images in the ডামন্‌ স্যালভ্যাতরে club tagged: damon vampire diaries salvatore crow boy bad ian vampire. This ডামন্‌ স্যালভ্যাতরে photo might contain hip boot and thigh boot. 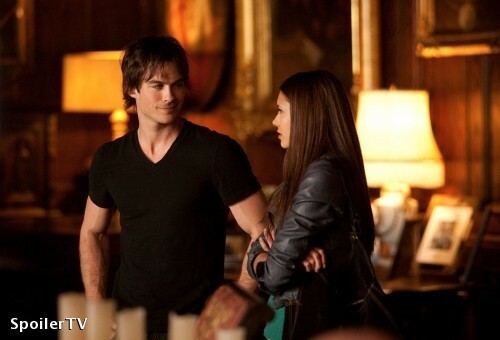 one of my fav pics cause its when damon 1rst met elena, but she needs to backoff HE IS MINE!